Samsung’s new round smartwatches, the Gear S2 and Gear S2 Classic, are now available for purchase online. With a starting price of $299 for the S2 and $349 for the S2 Classic, you can own what is almost guaranteed to be Samsung’s best smartwatch to date. We have yet to review the Gear S2 (we will shortly, don’t know worry), but after spending some quality time with it when Samsung fully unveiled it, it was obvious that this device would do as good of a smartwatch job on your wrist as any smartwatch. 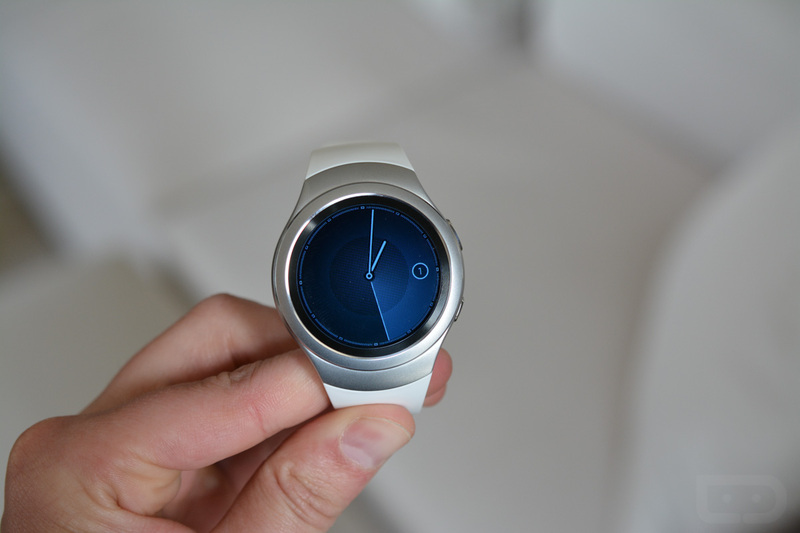 Sure, it runs Samsung’s Tizen instead of Android Wear, so there is going to be a new watch OS to learn. However, it’s a full watch experience like you see on the Apple Watch, instead of the glanceable-info approach you get with Android Wear. It also has NFC, so if you own a Samsung phone with Samsung Pay, you will soon be able to use it to make mobile payments. As for the rest of the story, you have the Gear S2, which is the version pictured above. It’s the cheaper ($299) of the two, and carriers a much more minimalistic and modern design, whereas the Gear S2 Classic ($349) is doing its best to emulate a traditional watch. Both have rotating bezels for navigating their UIs, round AMOLED displays, and battery life that should last for a couple of days on a single charge. We’ll have more later today, including an unboxing and some new first impressions. Note: Macy’s is also selling each, but has jacked up the price by $50 on each, which is ridiculous. Do not buy from them.